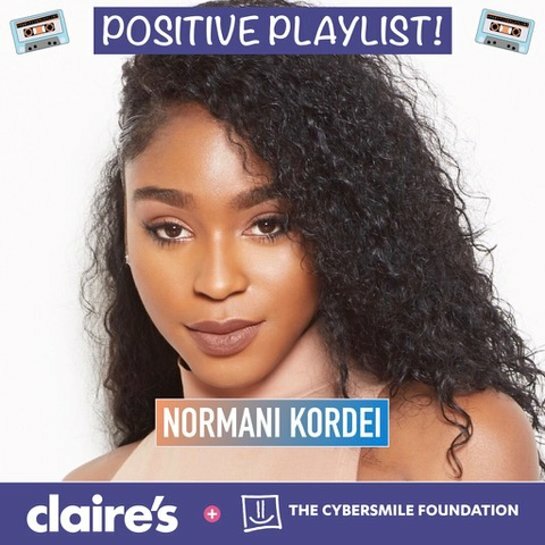 Fifth Harmony's Normani Kordei, Katie Cassidy, Paige Spiranac and teen stars Johnny and Lauren Orlando have campaigned with The Cybersmile Foundation and Claire’s this October encouraging young people to follow their dreams regardless of other people’s negativity. During the #DreamBigWithClaires Bullying Prevention Month campaign, the stars raised awareness of cyberbullying while encouraging everybody to support a positive internet. Cybersmile Ambassadors created and shared exclusive Positive Playlists of songs in the hope of inspiring others around the world. Educational quotes and inspiring memes were shared throughout the month and a giveaway was launched to promote positivity, rewarding internet users who promoted a kinder, brighter online community. Claire’s fundraised in-store across the U.S., Canada and the U.K. throughout the month of October to support Cybersmile’s Global Support Service for vulnerable internet users.